David Kaleda’s broad range of experience includes handling fiduciary matters impacting plan sponsors, investment and other fiduciary committees, investment managers/advisors, recordkeepers, broker-dealers, banks, and other financial services firms. 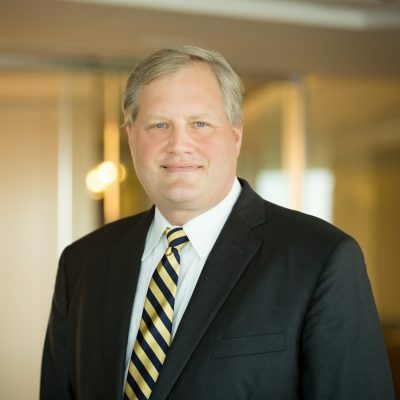 He advises clients on the avoidance and resolution of prohibited transaction issues, the structuring of alternative investment funds (including plan asset funds, real estate operating companies, and venture capital operating companies), and day-to-day compliance issues arising under ERISA and the Internal Revenue Code in the conduct of their businesses. He advises a number of firms on compliance with Department of Labor regulation, helping them to get related guidance and exemptions from the Department. David is a frequent speaker and author on a range of employee benefits-related topics. He authors the bi-monthly “Compliance Consult” column for PlanAdviser magazine and is a regular contributor of articles to The Investment Lawyer. His articles have also appeared in Employee Benefit News, Employee Benefit Adviser, Plan Sponsor Magazine, Employee Benefits Law Journal, Plan Consultant, and others. He has presented on ERISA-related topics for a number of organizations and has been quoted in numerous publications including On Wall Street, PlanSponsor Magazine, PlanAdviser Magazine, and Financial Adviser. David joined Groom in February of 2013 while serving on the Department of Labor’s ERISA Advisory Council, after working as an ERISA partner of a large law firm and prior to that as an ERISA compliance consultant and in-house ERISA attorney for a financial services firm.